Medline Sure Grip Terry cloth Slippers have flexible rubber soles that provide comfort and traction while the soft terry cloth interior absorbs perspiration. 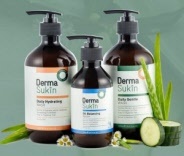 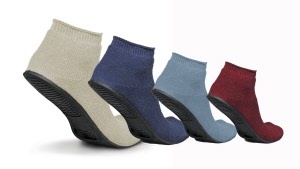 Ideal for those who find wearing ordinary slippers too restrictive and uncomfortable. 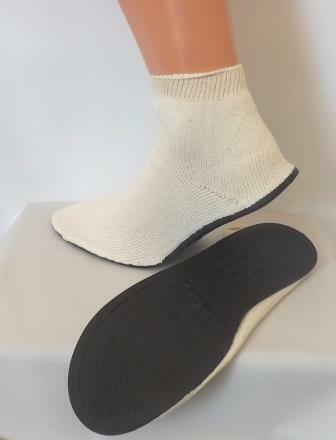 Widely used in many hospitals around the U.K, these Medline Sure Grip Slippers are also ideal for those who are at risk of falls around the home. 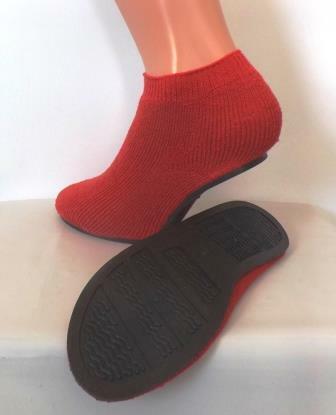 Available here at Oakville Care Centre for only £7.49 a pair, scroll down the page for an even more excellent value deal when purchasing 5 pairs. 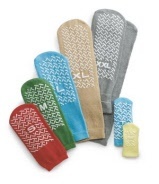 Medline Sure Grip Slippers are available in 4 different sizes. 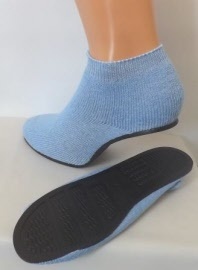 Medline Sure Grip Terry Cloth Slippers are also colour-coded for easy size identification. 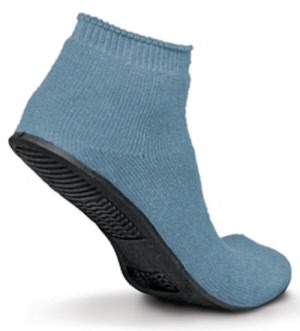 With skid-resistant treading Medline Single Tread and Double Tread Slipper Socks are designed for safety. 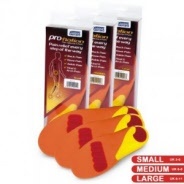 From only £3.25 a pair or £14.95 for 5 pairs, these Medline Slipper Socks are of excellent value. 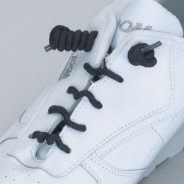 Attends Pull-Ons are a range of all-in-one absorbent pants that can be pulled up and down like ordinary underwear. 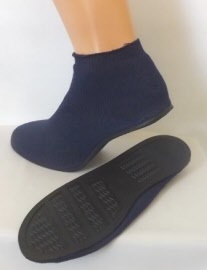 Attends Pull-Ons are designed to manage light to moderate urinary and/or faecal incontinence.